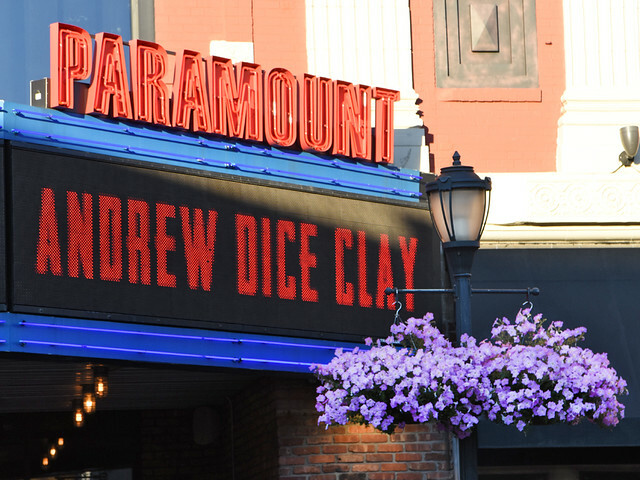 Andrew Dice Clay gets down and dirty at The Paramount in Huntington Reviewed by Diane Woodcheke on July 9, 2018 . 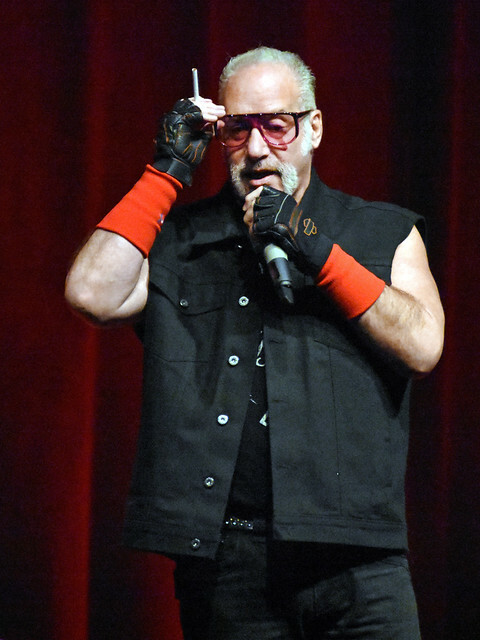 Last night: Controversial, offensive, and proud are three words you do not often use together, but in this case we are talking about the one and only Andrew Dice Clay. His fans love him and his foes hate him. Dice has a way of evoking the deepest of emotions in people and that’s what makes him tick. He has been making people laugh since starting his stand-up career in 1978 but it would be another ten plus years till he became a household name. After a busy year in 1988, which included his launch into the spotlight on Rodney Dangerfield’s HBO special Nothing Goes Right, he had an even bigger year in 1989. He released his debut album, Dice, which had a parental advisory on it “Warning: This album is offensive,” but despite the warning the album went on to reach gold status. And another memorable moment came that year when he appeared on MTV’s Video Music Awards and subsequently got banned for life after performing his adult versions of Mother Goose rhymes. With all this excitement he had no problem selling out Madison Square Garden for two consecutive nights in February 1990; he became the first comedian to have such an accomplishment under their belt. Also that same year, Dice managed to create a whole lot of controversy surrounding his appearance on Saturday Night Live, with both cast member Nora Dunn and musical guest Sinead O’Connor. And after several television and movie appearances in past years, including M*A*S*H, Diff’rent Strokes and Pretty in Pink, he got a starring role in a movie as Ford Fairlane in The Adventures of Ford Fairlane. To date he has released ten albums. He has appeared and starred in many roles in movies and television, and has had several memorable moments on Reality TV, including appearing on The Celebrity Apprentice 2 in 2009, and he even ruled the kitchen in the 2017 Fox network reality TV show, My Kitchen Rules, where he was the season’s winner. And if all this was not enough, add author to his list of accomplishments since in 2015 Simon & Schuster published his brutally honest autobiography, The Filthy Truth. As busy as he is, he still finds time to take his show on the road to get up close, and personal, with his fans. While he does not tour extensively he does make his rounds and we were there for the first of two nights at The Paramount in Huntington, NY on July 7th. After a week long heat wave the weather was absolutely perfect on Long Island so the streets of Huntington were bustling. Many show goers took advantage of all the great outdoor dining options before lining up under the marquee, awaiting the laughter they would surely be having soon for dessert. Getting the packed house going was South Philadelphia native Eleanor Kerrigan. Starting out her career in the spotlight as an actress, it was her friend, and one of her biggest fans, Andrew Dice Clay that convinced her to do stand-up. Her brand of comedy is straight from the hip and she holds nothing back. She performed a good twenty-minute set and had the audience laughing from the moment she came out. 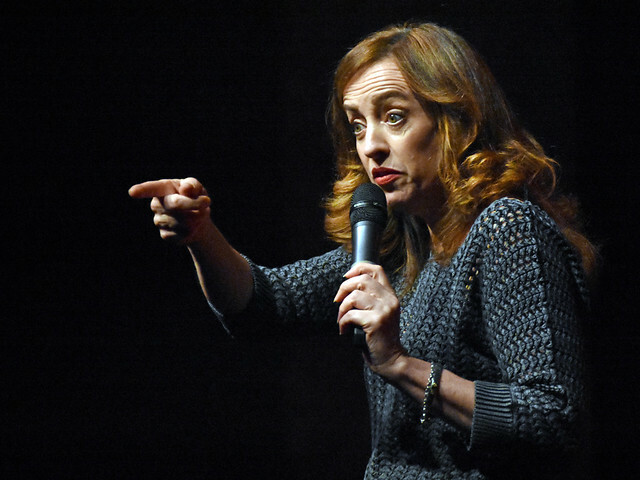 She is not afraid to offend anyone, just the right amount of raunchy, a tab bit aggressive and outright hilarious. Kerrigan was the perfect compliment for Dice, and if you are not already familiar with her work, she is someone who you really need to check out soon. Once Kerrigan concluded her set she introduced “The Diceman” and everyone stood up and cheered to greet him as he walked out from backstage. Grabbing the microphone and then a cigarette, he lit his fans up and got them laughing immediately. 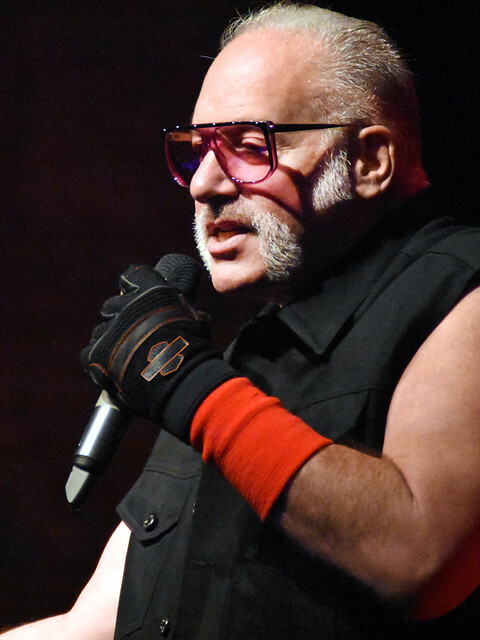 With his deep Brooklyn accent, his cigarette in his hand to enhance his points as he talked and the way he paced the stage, he included the audience in his subject matter and had his fans completely engaged. Early on in his set he took aim on a married couple in the first row, a mature man and his voluptuous wife. After establishing that they were married for fifty-four years, Clay joked, “Yea, I’ve been married for that long, but not to the same woman. Oooh!” Now and again he would return to the man throughout his set and the audience began to know him by the name “Joey.” Joey was not safe from answering personal questions either and his participation only helped enhance Dice’s jokes. No matter how raunchy the subject matter got, there was continuous laughter, with an occasional gasp of air now and again from those who could not believe he just said that. Before bringing the show to a close he said, “You’re a great crowd, thank you for coming out. 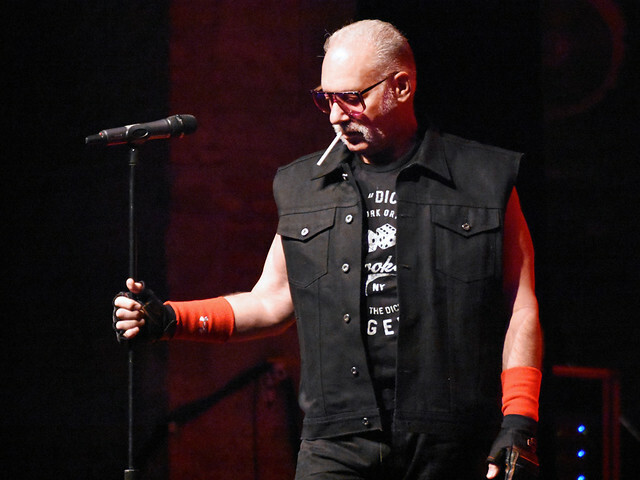 Thank you so much!” But before leaving the stage, knowing his longtime fans were waiting for this moment, he broke into his classic nursery rhymes. He hit them for several minutes with rhyme after rhyme, but the highlight was the fact that entire crowd spoke along with him, word for word, including each of his robust “Oooh’s” after each rhyme. Once it was over Dice stood for a moment and smiled, then he waved as his fans and they rose to their feet, cheering and clapping as they give him a standing ovation for his stellar performance. There is no comparing seeing The Diceman perform live and uncensored. And the fact that he has reached an age where he very well may have an AARP card in his wallet, he has not slowed down in anyway. He is just as macho and raunchy as ever; just the way we like him. Dice only has a few New York and New Jersey dates currently posted for this month, but if you can not make any of these shows I would suggest keeping an eye out for when he will be in you area because you need to catch him live to really appreciate his humor at its best.